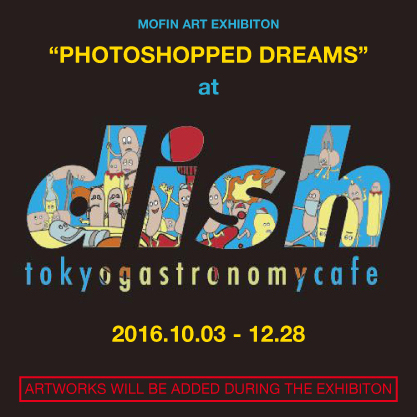 This art exhibition titled “Photoshopped Dreams” is conposed by Tokyo based artist MOFIN. Mo was arrived in 1987. What to do is to just eat dishes served or seek wishes from MOFIN. More than 150 works on walls and also will be added much more.